I never understood why people like cabbage rolls until my friend Joana made Romanian cabbage rolls. This is the same friend that changed my mind about polenta, by the way (see my soft polenta recipes here). I am so so grateful that Joana introduced me to Romanian cabbage rolls, because I am in love with them! They are truly the best cabbage rolls that I have ever tasted. The main difference between Romanian cabbage rolls and other cabbage rolls is that the Romanian ones are made with pickled cabbage. You can find vacuum sealed whole heads of pickled cabbage in European grocery stores. 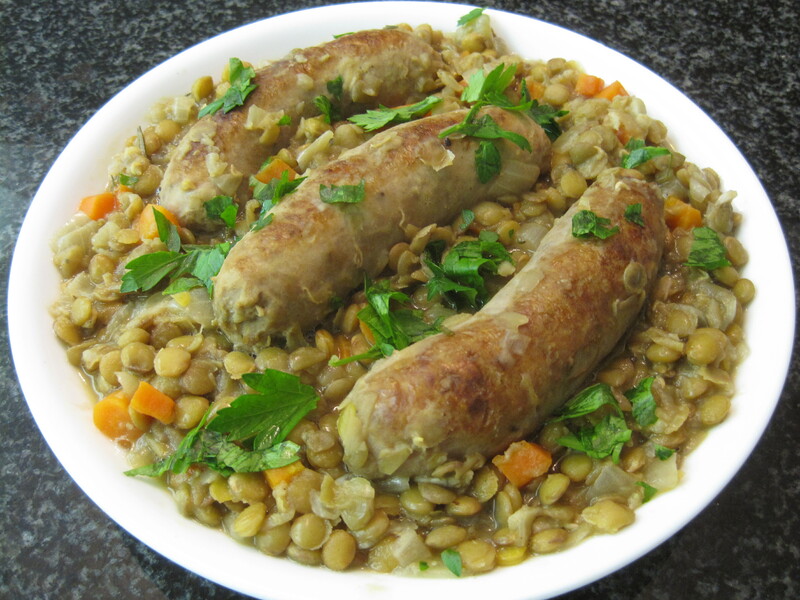 Joana’s recipe is also great because she uses a blend of different types of meat. Although they are easy to make, I don’t make them often, because rolling all of those cabbage rolls can be time-consuming. I hope you won’t be discouraged, because this recipe makes a very large batch that happens to be freezer-friendly. With the colder weather moving in, I knew that I couldn’t put off making these any longer. These are great to make for pot lucks or when feeding a crowd, because they can be served warm or cold. This is a hearty, freezer friendly, one pot meal that I love to serve on a cold day. A few of Ed’s friends stopped by in Kingston for lunch one day. We only had two hours notice, but that was enough time to put a menu together, run out and get groceries, and host a miniature BBQ. Luckily, I had some miniature frozen strawberry pies in the freezer. (See the menu and recipes below.) 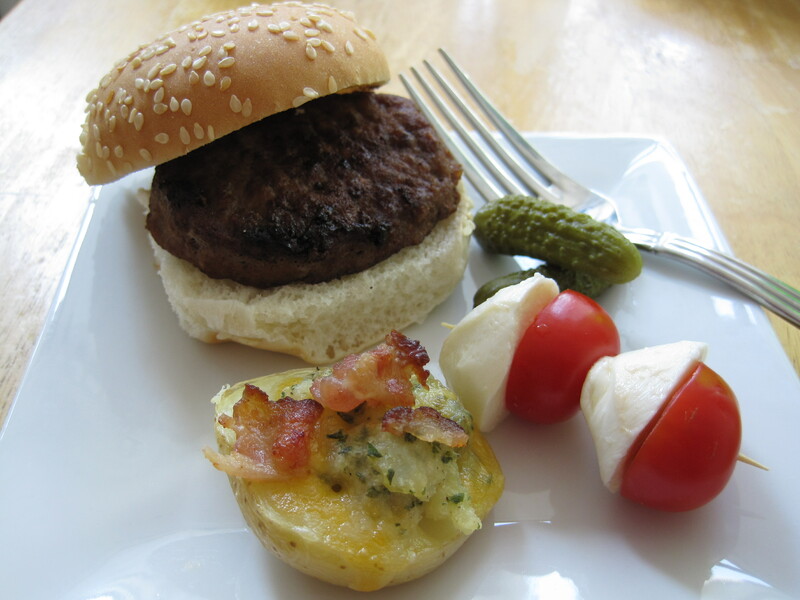 I love miniature food (see my miniature food display here) and I think it’s a great way to entertain, especially if you’re serving a light meal or throwing a baby shower. I love that this was all finger food and cutlery was only required for the dessert. 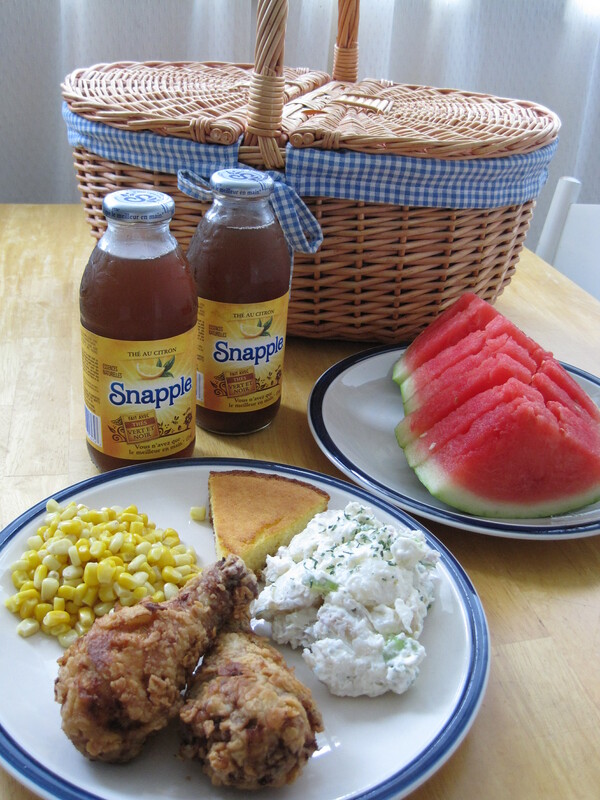 A review of some of President’s Choice’s new summer 2011 products is also provided below. I spent my 2009 birthday weekend in Montreal, Quebec and bought a basket full of cheeses from La Fromagerie Hamel (my favourite cheese shop) and baguettes from Premiere Moisson. 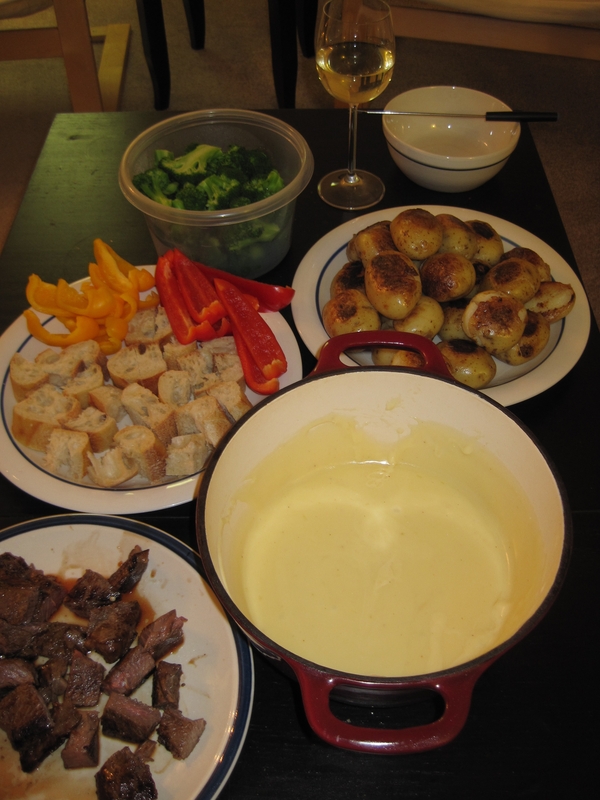 When we got back, I tried making cheese fondue for the first time. I made an authentic swiss fondue and found the wine and kirsch too strong for my taste. So if you’re like me, you might like my version of a mild swiss cheese fondue.